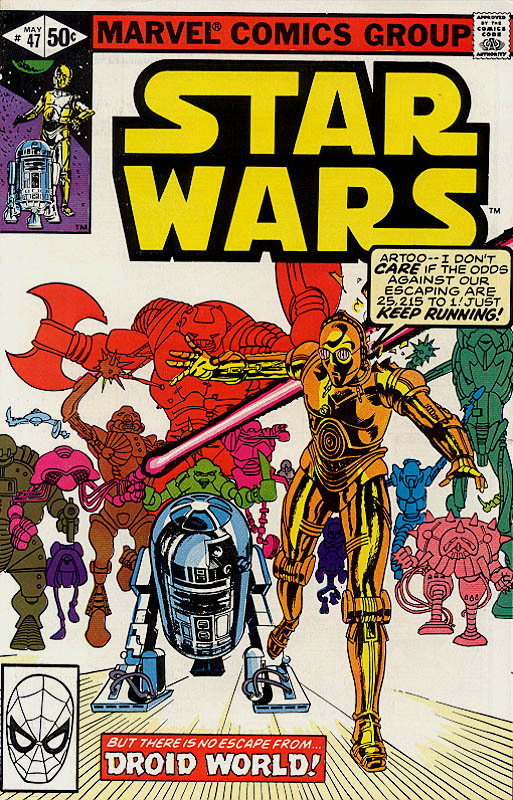 Quite a bunch of updates today, based on the subject of yesterdays review, Marvel Star Wars Issue 47: Droid World. Today I've added, Kligson to the Star Wars D/6 Characters Section, Imperial Warbot (Caterpillar tracked), TaggeCo Z-X3 experimental droid trooper, Binoc droid, Kligsons Moon Guard Droid & Tractor drone to the Star Wars D/6 Droids Section, Kligsons Moon to the Star Wars D/6 Starships Section (although I was tempted to put it into the Planets and Places Section), and War machine to the Star Wars D/6 Vehicles Section of the Site. A contribution from the prolific Monk2024 today, so we've added the HMS Francis Drake to the Star Wars D/6 Starships Section of the Site. Many thanks as always to him, all contributions to the site are very gratefully accepted. Project A-ko: The Roleplaying Game is a tabletop role-playing game published by Dream Pod 9 in 1995 and is based on the Project A-ko anime film. The design team of IANVS Publications (now Protoculture) created a new game system, Silhouette, so that they could start to publish their own role-playing games. Two years later, Jimmy Mah's Project A-Ko: The Roleplaying Game (1995) became the first Silhouette game of Dream Pod 9, which had been formed in 1994 to indicate a new beginning with the new game system. The game was published to be sold at Gen Con 26. The Silhouette game system that premiered in Project A-Ko was purposefully designed to be simple to make it quick and easy to play. 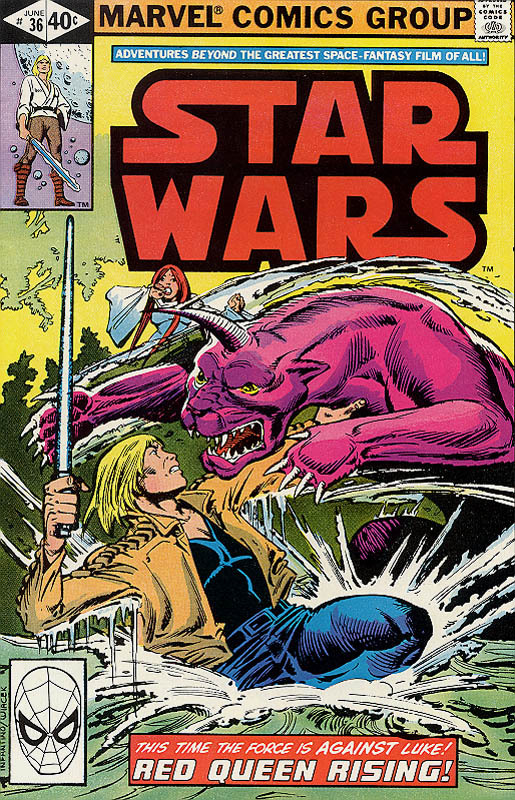 A bunch of additions today, based on the subject of yesterdays review, Marvel Star Wars Issue 46: The Dreams of Cody Sunn-Childe. Today we've added, Cody Sunn-Childe, Ansible Beelyard & Captain Plikk to the Star Wars D/6 Characters Section, Kingdom of Dreams to the Star Wars D/6 Planets & Places Section, Jashwik to the Star Wars D/6 Species Section, and Monster-Brother to the Star Wars D/6 Creatures Section of the Site. 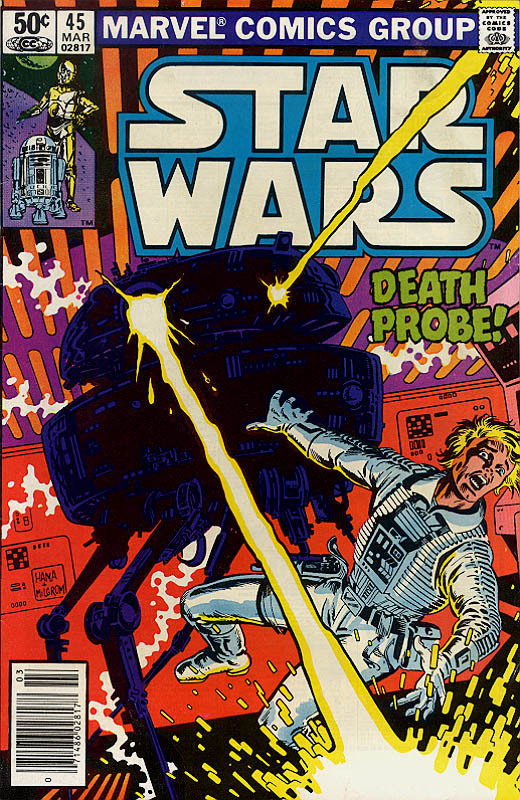 A few additions to the site today, based on the subject of yesterdays review, Marvel Star Wars Issue 45: Death Probe. Today we've added, Arakyd Industries 13-K Infiltrator probe droid to the Star Wars D/6 Droids Section, Rad Torlent & Admiral Damon Krell to the Star Wars D/6 Characters Section of the Site. Hello and Welcome to this episode of RPGGamer Top 5s, and this time as part of a series on the top RPG's on each system, we're going to be doing the top five RPG's on the Commodore Amiga. The Amiga was released in 1985 by Commodore International, and although not huge in the United States, it became very popular in Europe with the release of the A500 in 1987. Although the processor wasn't hugely powerful, the Amiga had a set of custom chips which allowed it to display 4000 colours, in the days when most PC's were still only showing 16, capable of playing 4 channels of sampled sound it also sounded great. Although pointless for gaming, one of the most futuristic elements of the Amiga was it's capacity for Multitasking, something the PC could only really achieve with the release of Windows 95, in 1995. Thousands of games were released for the platform, mainly on floppy disk, but later on CD. Commodore ignored developing the Amiga platform, seeking to sell to the rapidly increasing PC market, and as standards on the PC improved the Amiga began to look dated. The release of the A1200 in 1992 improved the system in almost every way, with a faster processor and an increase in graphics resolution and colours up to 16 million. But by that time Doom had been released and gaming was going 3D, something the Amiga was ill suited to. The bankruptcy of Commodore in 1994 was the final nail in the Amiga's coffin and stopped all development of the system, and although the system struggled on and was bought by a couple of other companies over the years, it was being sought for it's patented technology, not the system itself and it faded away slowly. Once again, there are far too many games for me to have played them all, so I'll just be listing the ones I've got personal experience of. Well, we're back after taking a week off, but since we're covering 6 issues (when normally we'd only do 3 in a week), it's hardly like we took any time off at all. 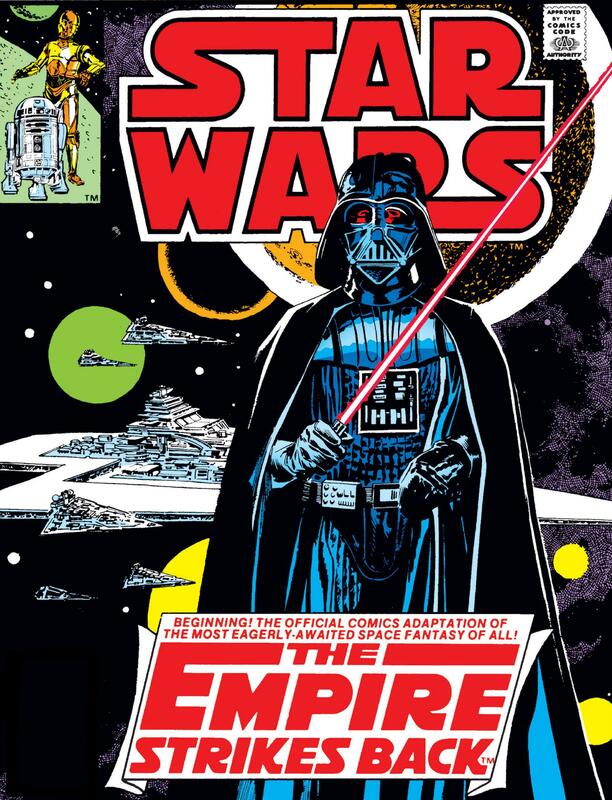 Today we've got a bunch of updates based on the subject of our review, Marvel Star Wars Issues 39-44: The Empire Strikes Back. Today we've added, Accipiptero and Exogorth to the Star Wars D/6 Creatures Section, Gandorthral Atmospherics Roamer-6 Breath mask to the Star Wars D/6 Equipment Section, the EE-3 carbine rifle and Merr-Sonn Munitions, Inc. M-57 Blaster pistol to the Star Wars D/6 Weapons Section, and the Single-pod cloud car to the Star Wars D/6 Vehicles Section of the Site. 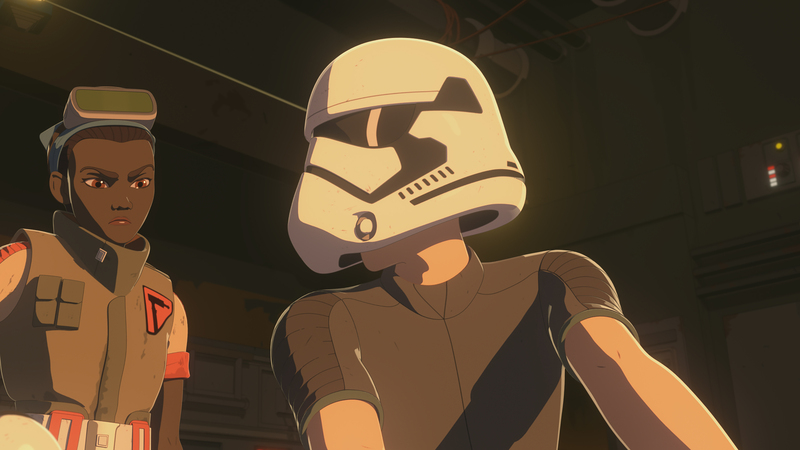 Another week, another Resistance review, this time Star Wars Resistance: Season 1 Episode 17: The Core Problem. Obviously spoilers if you haven't seen it, but without spoiling it, it's another good one. Flawed, but enjoyable. If Resistance keeps this up, it's going to win my Most Improved Series award whenever I get around to awarding one. The Star Wars Roleplaying Game is a d20 System roleplaying game set in the Star Wars universe. The game was written by Bill Slavicsek, Andy Collins and JD Wiker and published by Wizards of the Coast in late 2000 and revised in 2002. In 2007, Wizards released the Saga Edition of the game, which made major changes in an effort to streamline the rules system. The game covers three major eras coinciding with major events in the Star Wars universe, namely the Rise of the Empire, the Galactic Civil War, and the time of the New Jedi Order. The d20 rebooted Star Wars Roleplaying Game originally came out around the time of the release of Star Wars Episode I: The Phantom Menace. It included statistics for many of the major characters of that movie. The later Revised game included material from Star Wars: Episode II – Attack of the Clones and changed various feats and classes. The Star Wars Roleplaying Game uses a Vitality/Wound point system instead of standard hit points, dividing damage into superficial harm (Vitality) and serious injury (Wounds). A character gains Vitality points just like hit points in other d20 games, and rolls for them each level and adds their Constitution bonus. A character's Wound points are equal to their Constitution score. Most game mechanics are familiar to players of Dungeons & Dragons and other d20-based games. Characters have six Ability Scores (i.e., the standard Strength, Dexterity, Constitution, Intelligence, Wisdom and Charisma), a class and level, feats, and skills. Most actions are resolved by rolling a twenty-sided die and adding a modifier; if the result equals or exceeds the difficulty, the check succeeds. Hello and Welcome to this episode of RPGGamer Top 5s, and this time as part of a series on the top RPG's on each system, we're going to be doing the top five RPG's on the Commodore 64. Commonly referred to as the C64 or CBM 64, it was released in 1982 by Commodore Business Machines, it has 64 kilobytes of RAM, hence the name, powered by a MOS Technology 6510 running at 1.023 MHZ in the US, or 0.985 MHZ in the UK, the differing television frequencies required for NTSC or PAL accounting for the difference. But the processor wasn't what made the C64, it was the custom chips. With a VIC2 graphics chip capable of 320 x 200 pixel resolution in 16 colours with 8 hardware sprites, the C64 excelled at moving things around the screen for action games. The sound chip is the almighty SID 6581 chip, with three channels, which was far beyond anything else available at the time being capable of some amazing tunes when used by a skilled composer. The C64 rapidly became the biggest selling computer of all time, with an estimated 17 million units sold. This is an enormous number for a computer, seeing as the number 2 on the list is the Commodore Amiga at 6 million units. The range of games available for the system is absolutely vast, with around 10,000 commercially released titles, so we're really only going to scratch the surface of what was available, and really this is just a selection of those that I personally played. 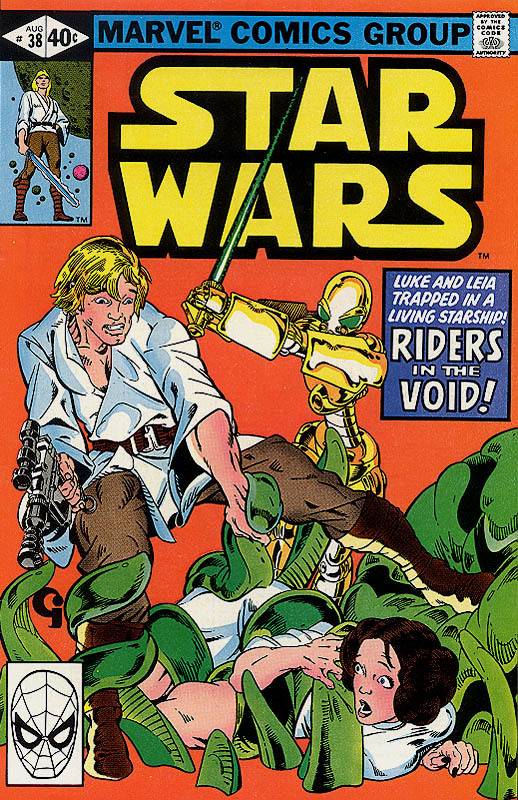 A couple of additions to the site today, based on the subject of yesterdays review, Marvel Star Wars Issue 38: Riders in the Void. 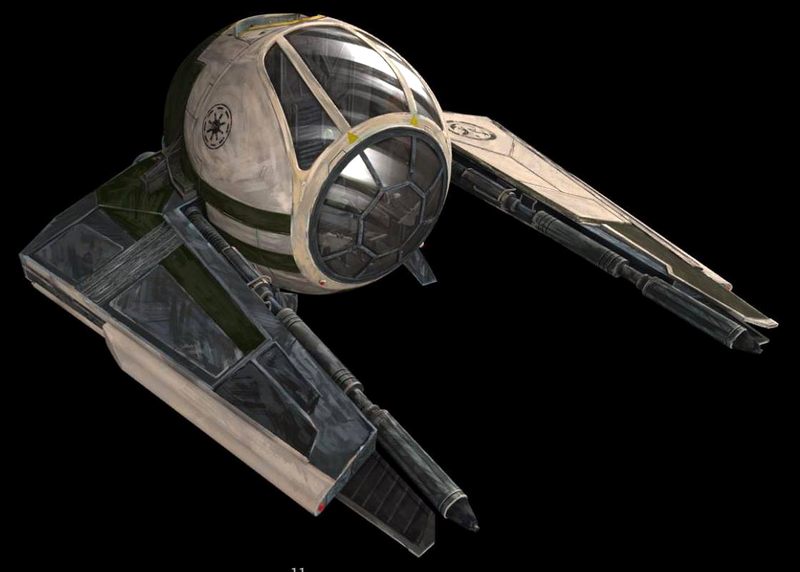 Today we've added Mecho-organic droid to the Star Wars D/6 Droids Section, and the Ship (Mecho-organic vessel) to the Star Wars D/6 Starships Section of the Site. I had some problem doing these stats today, as the droids and ship capabilities aren't really detailed too heavily in the story (although their backstory is). So I've had to try to guess capabilities not shown but which make sense in the context of their background. 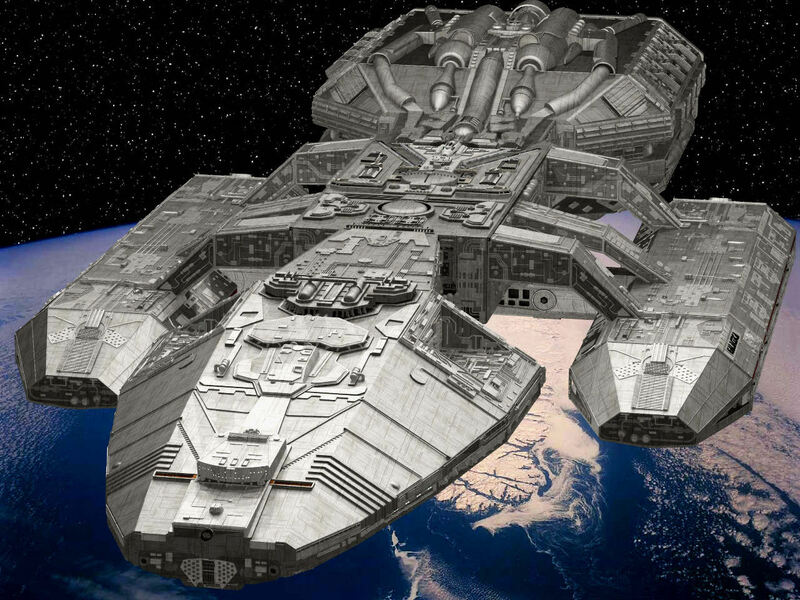 For example, the ship is large enough for a massive crew, but is easily controlled by it's single pilot. It's a ship of war, but only displays a single weapon. So I've tried to make decisions, but this ship is very much a Gamesmasters toy for telling a story with. Warhammer Fantasy Roleplay or Warhammer Fantasy Role-Play (abbreviated to ''WFRP'' or WHFRP) is a role-playing game set in the Warhammer Fantasy setting, published by Games Workshop or its licensees. The first edition of WFRP was published in 1986 and later maintained by Hogshead Publishing. The primary setting of WFRP is the Empire, a region of the Old World based loosely on the Holy Roman Empire, with a number of baronies, counties and dukedoms fashioned after the fiefs of elector counts and dukes. Other prominent regions include Bretonnia, initially based on medieval France, later reinvented using strong Arthurian mythology themes; Kislev, based on medieval Poland and Imperial Russia; and the Wasteland, whose sole city of Marienburg is based on the Low Countries. Other lands not explored as thoroughly but still frequently mentioned include the fragmented lands of Estalia and Tilea, fashioned after Spain and the city-states of Renaissance Italy respectively, and Araby, a mixture of Arabic Caliphate and Persia. Other lands with real-life analogies include Cathay (China), Ind (India), Naggaroth (northern North America), Ulthuan (Atlantis), Lustria (Mesoamerica), Norsca (Scandinavia) and the island of Albion (British Isles); however, very little official information has been released for these locales. While the setting of Warhammer Fantasy Roleplay shares traits, such as the existence of elves and goblins, with other popular fantasy settings, it is technologically set slightly later than classic fantasy – close to the early Renaissance era in terms of technology and society. Firearms are readily available, though expensive and unreliable, and a growing mercantile middle class challenges the supremacy of the nobility. 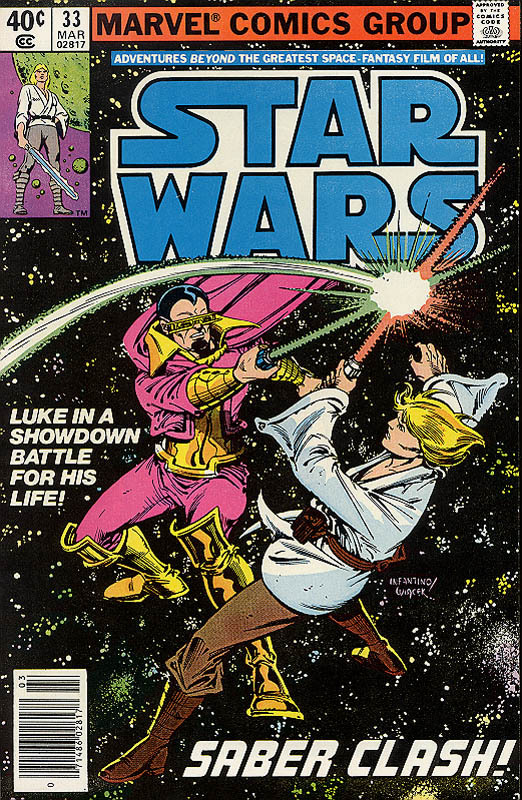 Just one addition today based on the subject of yesterdays review, Marvel Star Wars Issue 37: In Mortal Combat. 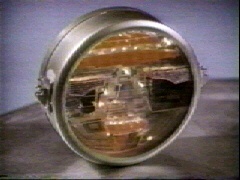 Today we've added Visi-cube to the Star Wars D/6 Equipment Section. Knowing the next issue of the comin, I suspect there will be a much larger batch of additions to the site next time. 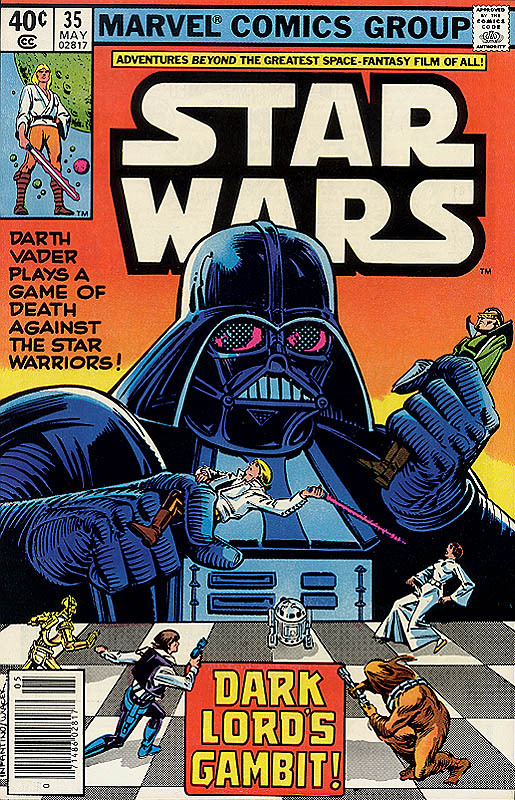 A bunch of additions to the site today, based on the subject of yesterdays review of, Marvel Star Wars Issue 35: Dark Lords Gambit. Today we've added Domina Tagge to the Star Wars D/6 Characters Section, Monastery to the Star Wars D/6 Planets Section and the Nightshrike to the Star Wars D/6 Creatures Section of the Site. tar Wars: The Roleplaying Game is a role-playing game set in the Star Wars universe, written and published by West End Games (WEG) between 1987 and 1999. In 1992 West End Games published the second edition of the game, in which the title remained unchanged. But in 1996 a revision of the second edition saw the light of day, but its title was slightly changed from Star Wars: The Roleplaying Game - Second Edition to The Star Wars Roleplaying Game: Second Edition - Revised and Expanded. The game, based on WEG's earlier Ghostbusters RPG, established much of the groundwork of what later became the Star Wars expanded universe, and its sourcebooks are still frequently cited by Star Wars fans as reference material. Lucasfilm considered the West End Games' Star Wars sourcebooks so authoritative that when Timothy Zahn was hired to write what became the Thrawn trilogy, he was sent a box of West End Games Star Wars books and directed to base his novel on the background material presented within. 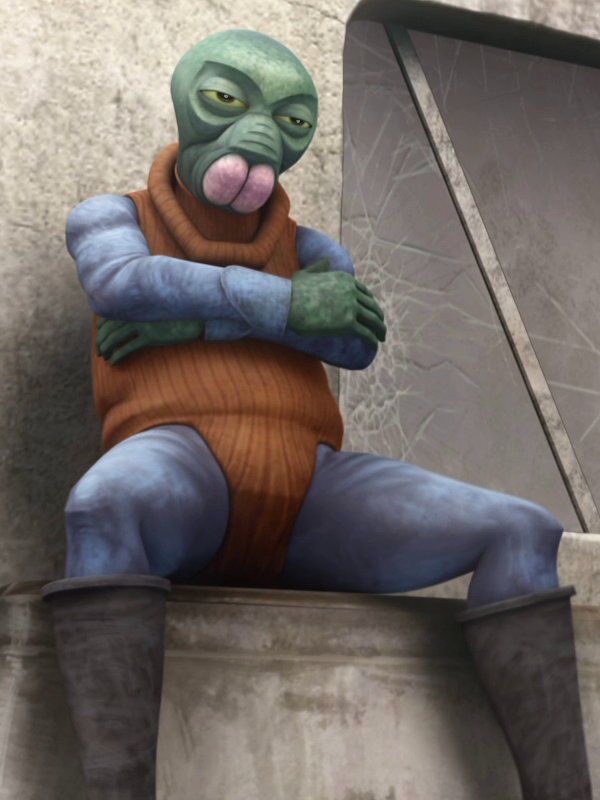 Many of the first uses of Star Wars alien names (such as the Twi'lek, Rodian, and Quarren) appeared for the first time in WEG's Star Wars books. Even after Disney's reboot of the Star Wars Expanded Universe in 2014, much of this nomenclature still exists in new canon works. By the end of the game's run around 140 sourcebook and adventure supplements were published for the game during its run through three editions. 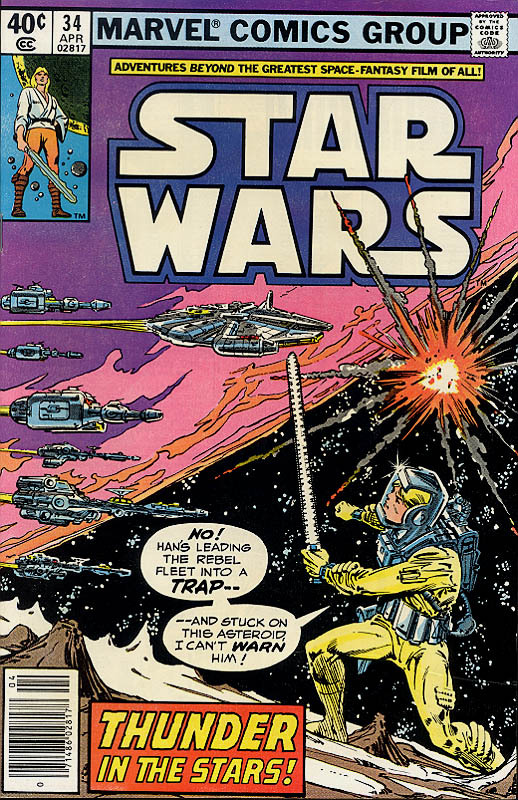 Only one addition to the site today, based on the subject of yesterday's review, Marvel Star Wars Issue 34: Thunder in the Stars, and I have to admit that it's a bit of a stretch. Today we've added the Ship of the Line (Rebel Alliance) to the Star Wars D/6 Starships Section of the Site. 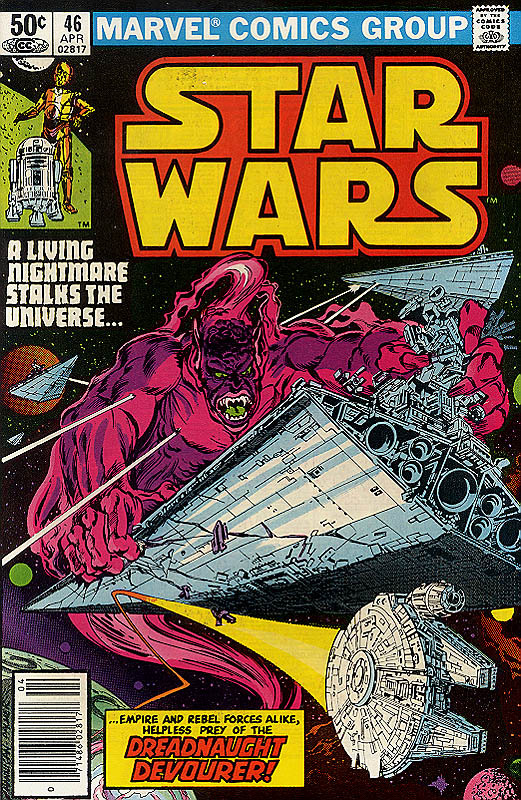 The Marvel Star Wars comic had a habit of drawing Rebel and Imperial Ships a little oddly, and these have been added to the Expanded Universe as different ships (almost as much as the variant Star Destroyers from the Dark Empire Comic), instead of just admitting they were artistic variants of Corellian Corvettes and Star Destroyers. 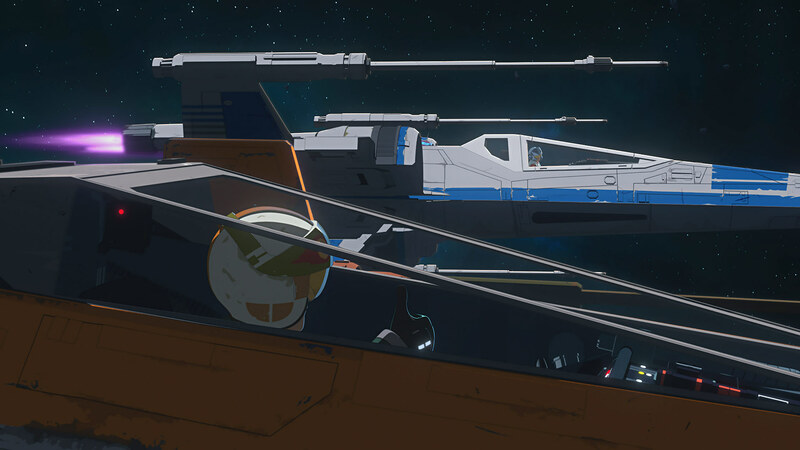 So, the Ship of the Line (Rebel Alliance) we've added today, was just probably a Corellian Corvette drawn from memory, rather than supposed to be it's own ship, but here it is anyway. 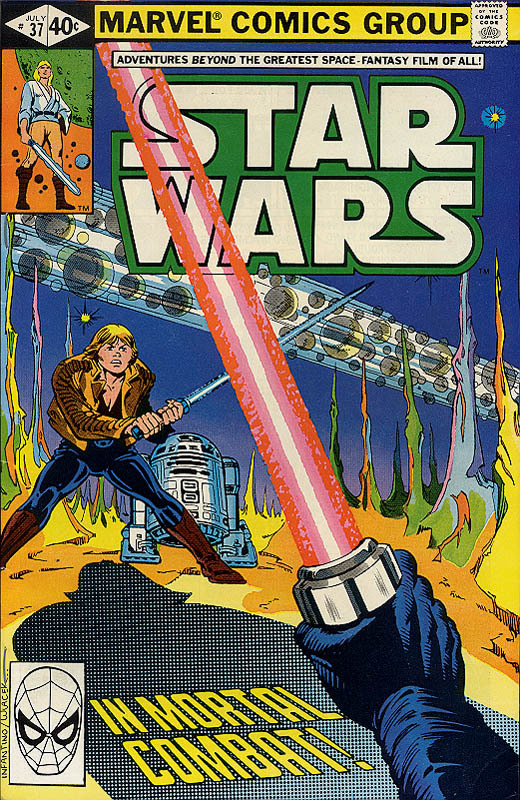 Just a single addition to the site today, based on the subject of yesterdays review, Marvel Star Wars Issue 33: Saber Clash. Today we've added the Tagge Industries Shipyards Limited Battlecruiser to the Star Wars D/6 Starships Section of the Site. Hi and welcome back to RPGGamer's TOP 5, and this time we'd like to count down the five WORST episodes of the Star Wars: Clone Wars Series. 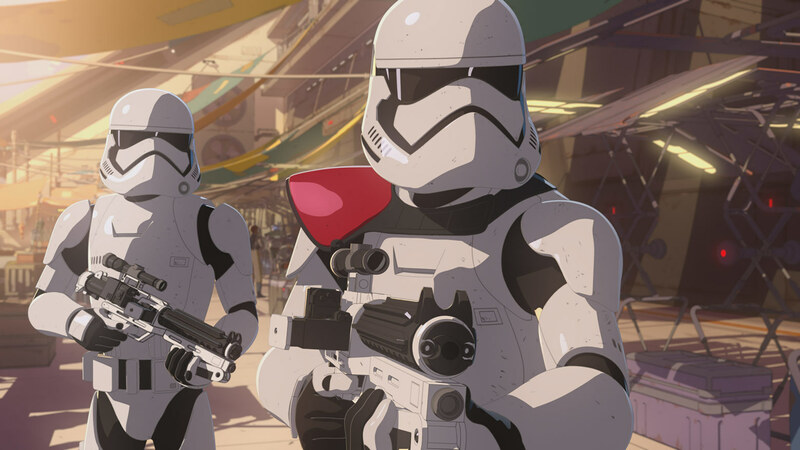 Over on the site as part of our Star Wars reviews, we watched and rated every episode, and these come out at the 5 lowest scoring episodes, and with a bit of a refresher we've sorted them into order. Now obviously this just our opinion, and equally obviously there's going to be spoilers through, so don't watch if you don't want the episodes spoiled.